Libya is a conundrum. It gives me a headache. I am neither for Nato nor for Qaddafi’s forces. On the other hand, given the degree of repression the country has seen, I realise that it would have been difficult for the uprising to succeed without Nato’s intervention. This is in contrast to Egypt and Tunisia where institutions and infrastructure were better developed in spite of the fact that, unlike Libya, they did not have petrodollars, and specifically, in Egypt’s case, a far larger population. The difficulty arises when one examines Nato’s reasons for intervention. Notwithstanding the rhetoric of upholding democratic values and standing up for human rights, it is quite clear that but for Libya’s oil, the West would have issued statements but watched the rights violations from the sidelines. This is not to say, of course, that the uprising was imported, as was the case in Iraq where, though the population was terribly unhappy with Saddam, in 2003, the conditions for the Arab Spring had not yet manifested. Nato, it is quite safe to say, will intervene either to prop up monarchies and dictators that serve western interests in connection with oil or to effectuate regime change in countries where those interests are not being served. These interests may coincide with those of the local people up to the point of regime change. But what happens after that? Though there is much talk of not repeating the mistakes of Iraq, Libya will have its own set of complex challenges, tribal divisions and armed ragtag militia, to name a couple. With a population of just six million, Qaddafi should have at least provided Libya with an infrastructure to match that of the oil-rich countries of the Gulf. Not that the Gulf countries have done their people justice, but at least they don’t need to leave the country to see a proper dentist, as some Libyans have testified. Qaddafi’s derision of capitalism and western democracy would have meant something if he had exhibited a better alternative. But his legacy is one big mess, in spite of the fact that when he took over in 1969, he was a charismatic colonel with broad appeal. While the Gulf countries relied on foreign expertise to build their infrastructure, Qaddafi wrecked existing institutions, abolishing all ranks above colonel in the military, as one example. It is a common misperception in Pakistan that what we need to get ahead is ‘a leader who can stand up to the West’. Qaddafi often did stand up to the West. Towards the end of his rule, so did Saddam Hussein, as does Bashar al Assad of Syria. But this does not make them any less draconian or inept to govern their own countries. In fact, while political repression is common to both pro-West and anti-West dictators and monarchs, lacking infrastructure and economic repression is far more common in those countries where leaders have taken an anti-West stand. One of the primary reasons for this is the sanctions that are slapped on by western powers as a result. Iran, for example, produced six million barrels of oil per day in the seventies. After the revolution, its production dropped to two million barrels per day. In the 30 years since, Iran has still not managed to reach pre-revolution production levels, with current oil production at about four million barrels per day. The main reason for this discrepancy is not the fact that Iran does not have oil to pump (it has the world’s fourth largest reserves) but that since its anti-West stance, international oil companies are not willing to invest there. Moreover, domestic expertise also left the country in droves after the revolution. Thus, while western motives are born less of altruism and more of mercantilism, it is neither wise nor patriotic to take an overtly confrontational stand. Instead, we must be wary of demagogues and aspiring leaders who preach this line. Published in The Express Tribune, August 26th, 2011. 24 Aug 2011What next for Libya? Its a shame that for most Paksitanis the Libyan people revolting against the rule of a 4 decade old dictatorship is viewed as a foreign conspiracy. Most conveniently ignore that since December 2003 Gaddafi was more than friendly with the West, offering oil concessions to Western oil companies no questioned asked. Pakistanis also seem to forget that it was Gaddafi who after giving up his weapons of mass destruction program, offered the IAEA evidence of AQ Khan’s proliferation activities. NATO’s intervention is not an oil grab because simply it already had control over it. The major concern for European countries was the fact that they are afraid of a wave of migrants and refugees making their way across the Mediterranean and the embarrassment of having cuddled up with Gaddafi over the past 7 or 8 years. This image of Gaddafi as an anti-West warrior is a myth, and just because of something he did in the 1970s we have romanticized his existence. Furthermore, over the past few years its seems everyone has fallen in love with Turkey, yet the hypocrisy is that everyone forgets that Turkey is NATOs second biggest contributor and was one of the first countries to recognize the National Transitional Council. It seems that bashing the West is more important than the welfare of the Libyan people. @Nadir El-Edroos: Well said and well written. The truth is neither Gaddafi nor Saddam or Bashar al Assad have stood up to the West out of their own volition. But were forced to do so out of the steps that they had taken to ensure the continuity of their regimes. Gaddafi’s possible guilt of being complicit with the Lockerbie bombing of the Pan Am airliner may soon be highlighted again as many of his crimes will be now be out in the open, when the Libyan intelligence operatives come under pressure. Saddam’s use of poison gas against the Iraqi Kurdish population and his genocidal persecution of the Iraqi Shia’s were acts to ensure more effective control of his regime against the opposition. His marching into Kuwait was an act not of defiance of the West but rather his thruggish mentality in play, of elimating a creditor who had come calling. Bashar and his father Hafez have systematically been party to genocide against his own people for the last four decades. There is clearly a disbalance in Syrian society when a dominant group that is about 7% of the population controls the economic balance of the country. The Muslim Arab countries around him including Saudi Arabia which itself has the most negetive record where human rights are concerned found this regime as natural allies when Saddam had threatened that governement. In the case of the Syrian regime the West is more of a bogeyman for the consumption of their citizens. And regarding Iranian oil production, at one point it did rise to a little above 5 million barrels a day in 1975 right after the opec oil embargo against the West Inspired by Saudi Arabia. However the current lower level can also be attributed to the fact that with a significantly larger population as compared to some of the surrounding Arab countries the Iranians have always been cognizant of the possiblity of their oil reserves being exhausted before their reaching a sustainable level of economic expansion. Besides Khomeini with the limtations of his clerical education did not ever understand the economic implications and expected the Iranian citizen to live as frugally as his own personal lifestyle. Immediately after the Iranian revolution and before the exodus of the technical workers the level of 2 million barrels a day was a choice that the Iranian governement made. Since then during the times when the price of oil reached 10 to 15 Dollars a barrel in the early eighties, they did experience problems increasing the production. @Nadir El-Edroos: Nothing remains to be said. Bravo! I beg to differ – this isn’t an oil play as the West gets all of Libya’s oil with Gaddafi in place. The West simply took an opportunity to get rid of an unstable guy who has been a chronic PIA over the years – Gaddafi has used terrorist as a “strategic asset” for 40 years and despite apologies or payoffs — the West doesn’t forgive terrorism. Parading the Lockerbie bomber and embarrassing the UK was the last straw. Neither oil,or religion,prayers daily,is going to bring progress.See,in UAE,Soudi Arabia and other oil rich country,there are more foreign nationals of all stripes,even domestic help from Sri Lanka,Indonesia and Thailand and Bengladesh.Half of Kerala,young are in Middle-east.Do any one think why is so?The simple answer is the locals do not consider necessary to contribute in educating themself.Take the case of Libya and KINGDOM OF SAUDI AREBIA.Vast oil wealth,vast land,very small population.Could they not get educated when it is free there. ?I do not know how best ,the society there can be made progresive,there is something dramatically wrong with the people,what it is for their people to find and remedy,just blaming,conscipracy of west has gone stale,it is self defeating and take these countries no where,that where the lesson lies for pakiustani.If this lesson is not learned be ready for a demogogues to take over again,do not blame the west again. Nadir well said! Ayesha Ijaz does make an interesting observation, why this sudden interest in dislodging a subservient dictator? Gaddafi regime was funding extremists in Pakistan as documented by many observers and leaked US documents yet we in Pakistan continue to idolize an individual hated by his own country. About time we changed he name of Gaddafi stadium! You said it as it is. So well said, Ayesha Ijaz Khan ji. @ Nadir—I can’t help but wonder—did you read the same article that I wrote? I don’t see where I was pushing the situation in Libya off as a “foreign conspiracy”. Certainly it is a local movement and I have clearly said that if you read the article carefully by distinguishing it from the intervention in Iraq. Nevertheless, the fact that western foreign policy is driven by mercantilism is a fact independent of the legitimate uprising in Libya and that is the distinction I thought I made quite clearly. You are right that in the last decade Gaddafi was no longer anti-west the way he was previously but you must understand that in a 650 word article I cannot go into such lengthy explanations and therefore am forced to summarise. My point was not that the West intervened because Gaddafi was anti-West, had they wished to do so they could have done it long time ago. But the West intervened because they saw that Gaddafi is very unpopular and they want to ensure that an oil-producing country like Libya does not fall once again into anti-West hands. They will not intervene in Syria though the uprising there may be just as great. If you think this is about migrants coming into Europe I am afraid you are completely off. At this point, the West is also very worried because oil production in Iraq has dropped after the fall of Saddam due to the bad security situation and Saudi Arabia can make up the shortfall for only so long. World oil demand is also growing with countries like China taking off and the West presently does not want to deal with Iran. Oil is central to this and making that point does not take away from the fact that Gaddafi was a terrible despot who needed to go. This is clear all through the article but either you just read a couple of lines or didn’t understand what I was trying to say. See if these names remind you of the crimes and carnage heaped upon Muslims by Mulsims – Yahya Khan, Khomeni, Saddam, Assad, Gaddaffi. In each case, the West waited for us – Muslims, do do something. Our age old refrain. “it is a muslim affair between borthers!” amounted to nothing of value to the oppressed. We accused the West of hollow values, when they waited. But…as soon as they did – with full pressure from us, we tagged them with thievery and all kinds of conspiracies to extract our oil. This hypocrisy allows us to abdicate responsibility at every step. Once that maniac Gaddafi is dead and gone will we get a “Shaheed Gaddafi Stadium” in Lahore? Just about everyone – hero, scum or zero – gets this much abused privilege in Pakistan, so why not Gaddafi? After all he was an Aqid (Colonel) in the the Libyan Army. What you say makes eminent sense. And I feel the same way about the Libyan conundrum. To me, what comes to mind when you say ‘. . . we must be wary of demagogues and aspiring leaders who preach this line.’ are Zulfi Bhutto and Imran Khan, though almost all leaders resort to demagoguery to varying degrees in our part of the world. The Malaysian model seems the best one to emulate, perhaps. Anyways, very well put Ayesha ! I’ve posted this on fb. Though I agree with aspects of your article, there is simply no logic in the “war for oil” theory. Just like it was pandered in Iraq, it simply makes little rational sense. In Iraq, the “theorists” would have us believe that the US mercantalists thought spending almost 1 trillion dollars on the war (latest figure is approaching 800 billion) was all about gaining access to hundreds of billion dollars in proven oil reserves! Somebody needs a math lesson! I know the same theorists will reply with comments on the evil military/industrial establishment gaining benefit, etc., etc. But that argument does little to support the war for oil allegation. As is clearly understood, Libya gave Western companies access to its oil fields years ago. There was nothing being withheld other than colonizing the country altogether to actually own all the wealth! Even the “theorists” would have a hard time making that argument in either Libya or Iraq. This is simply unfair. The authour writes that the main motivation is Libya’s oil but offers no evidence of that. How is this different from the bombing of Serbia in the late 90′s. There was a political situation and a dictator within the immediate geographical vicinity of the west had unleased heavy repression. There was a flood of refugees (which the authour conveniently overlooks). And human rights were down the drain. There was and is a local uprising. The authour is stereotyping the west, just as the west has stereotyped the islamic world. This article is poor. @N: Very well said. And I would specifically mention East Pakistan now Bangladesh. Your article itself had validity and was justifiably addressed to the Pakistani elite. Readers that currently fear that Western policies directed at Pakistan could cause them loss of previlige and have made it fashionable to express anti Western views, And do not hesitate to turn a despot like Gaddafi into an admirable Muslim hero of some kind. Not known to Pakistanis are the issues that the Gaddafi family have always considered Libya and its oil based wealth as part of their private resources. Or the fact that Libyan intelligence tracks the activities of Libyans abroad, using pressure on their families at home to influence their behaviour. Any participation in anti government activities could have serious repurcussions. Or the fact that Gaddafi uses torture on Libyan dissidents at home. His sons have squandered significant amounts of Libyan wealth in ostentatious private displays. Or not trusting Libyans to defend himself he had to hire mercenaries, which couldn’t display the same passion in the fight. I think you should also have dwelled some more in depth about Western mercantilism which played a hand in NATO’s choice of intervention, and the the domestic politics of countries like France and Italy where Sarkozy is up for re-election and made his moves to appease French corporate interests, while Berlesconi is fighting a survival battle and wanted to appeal to the right wing anti immigrant sentiment there. Madam,I.Khan,I can not claim to dwell in the inner most recesses of your mind or what really you meant in your column.Every nation,every society,and an individual at one point decides his/her religion or lack there off(i have chosen the later),the economic system,the form of rulers(democracy or Dictatorship),once the die is cast,one has to live with the consequence.If you are part of the west,you will be benifectary of the system,if you like Islam and want to live under devine Kuranic law,you will reap the benifit of that system.We are given common sense and humans by all account knows what is good for their well being.I was not ritualistic and totally not religious,the very air I breathed was killing me,(not there is any thing wrong there 1.2 billion live their with not much noticeable breathing discomfort),I came to live in west.If you are communist,chinese live there in China(it is debatable atleast,if they like it ),USSR after 75 years did not like socialism,and decided to go other way.Nehru and other cripto communist tried that untill 1991,it did not work,and so changed course. What I’m saying we have choice,mearly repeating,west for oil,business reason,or some other conscipracy has kept other nations under developed is avoiding introseption,and this the reason many countries since 16th century not done as well as South Korea,Japan,Thiwan or even of late Chinna.If you you love your people ,pl in good conscience do not peddle old ideas such as oil,against our religion,it is harmful and defeatist ,harms once own nation,self and society.Progress will not happen this way,I write because I believe I will help some,You have greater stake as Tribune has given you space ,pl,use it judiciously.Thanks. Ms Khan, exactly this is the very reason the West has intervened to remove not only the most unpopular but also most unpredictable leader apart from this the other somewhat hidden reason is to check China’s increasing investment in the Middle Eastern oil. Now coming back to the main topic “Anti-West not a Leadership Quality”. This feeling is firmly ingrained in our psyche for the last two hundred years or so the reason behind this is our own economic inertia and our political subjugation by the West. This hate mongering is certainly not a quality a leader ought to espouse but looking at all the past and present leadership in the Muslim world apart from Mahathir Mohammad of Malaysia the rest were and are short-sighted, self-conscious over-dressed ego-ridden dim bulbs. But they are only smart enough to exploit this anti-West feeling for their own survival rather brilliantly. How about leader being neither pro or anti west, but just honestly represent own people. Dravid says the sport needs to find a balanc­e betwee­n the three format­s of the game. The Big Bash has attrac­ted some of T20's big names: Shahid Afridi, Abdul Razzaq and Chris Gayle. 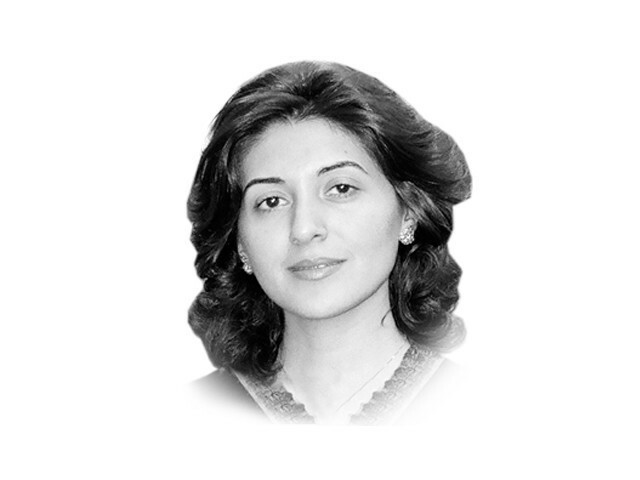 Malala Yousuf­zai was earlie­r nomina­ted for the peace prize. Report­er takes a tantal­ising glimps­e of the day-to-day life of a group of Pakist­ani Taliba­n in North Waziri­stan. The bill would system­ise indefi­nite detent­ion withou­t a trial into the US law. Thanks God, there is something in the skies that dispenses justice to the barbarians.